Genuine SQ5 aluminum style pedal set specifically designed for the automatic models. These are a slip-on/bolt-on fitment to all Q5 models. 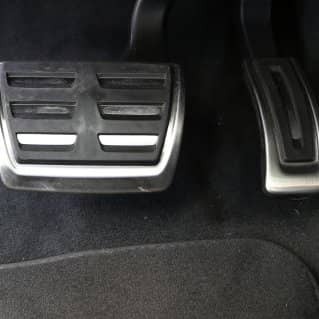 This set can come in LHD and RHD with or without a matching aluminum dead pedal only.